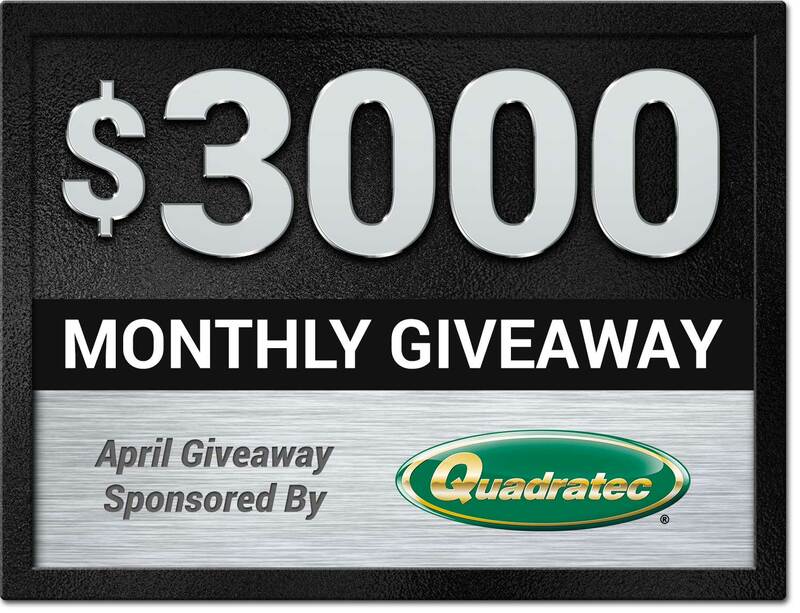 Home » The 2019 Quadratec Product Giveaway! The 2019 Quadratec Product Giveaway! $3000 WORTH OF QUADRATEC BRAND PRODUCTS! $2000 for the 1st Place Winner, $750 for the 2nd Place Winner & $250 for the 3rd Place Winner! Sweepstakes promotion begins at 12:00AM Eastern Time on the first day of each month and ends 5:00PM Eastern Time on the final calendar day of each month. Check out the great products from this months sponsor Quadratec. We all have goals and dreams for our Jeeps, right? Well, for the folks at Go Rhino, their entire business started with a goal and dream—to build the best accessories for trucks and Jeeps with the best mix of function and style. All for drivers with passion and purpose. With Go Rhino products on your Jeep, you can transform every trip into an adventure. And this month, three lucky winners will receive product credit towards fantastic Go Rhino products. First place receives $2,000, second place $750, and third place $250. Your Jeep's body and interior can take quite a beating during the winter season. Which is why having quality body protection and protective floor liners can be crucial to surviving those colder months. From durable ABS hood shields, to nerf bars, to catch all liners for perfect carpet protection, Lund Industries has some of the most functional, high-performance, protective and stylish automotive aftermarket accessories in the industry. And this month, three lucky winners will receive product credit towards fantastic Lund Industries products. First place receives $2,000, second place $750, and third place $250. Winter is coming. Well, for some it is already here. And if your Jeep hasn't been prepped for winter, or you have a few knocks and creaks that you need addresses, then, Omix-ADA is the brand for you. Featuring all kinds of high quality replacement parts for nearly any type Jeep, Omix is sure to have what you need to make sure your ride not only is ready for winter. But can survive it as well. And this month, three lucky winners will receive product credit towards fantastic Omix-Ada products. First place receives $2,000, second place $750, and third place $250. A legendary name with equally legendary products. Poison Spyder provides the kind of protection that not only looks awesome, but performs just as good when you need it. Bumpers, side bars, fender flares, differential covers, tire carriers - and those are only the beginning. You owe it to yourself to check out their extensive inventory. And this month, three lucky winners will receive product credit towards fantastic Poison Spyder products. First place receives $2,000, second place $750, and third place $250. 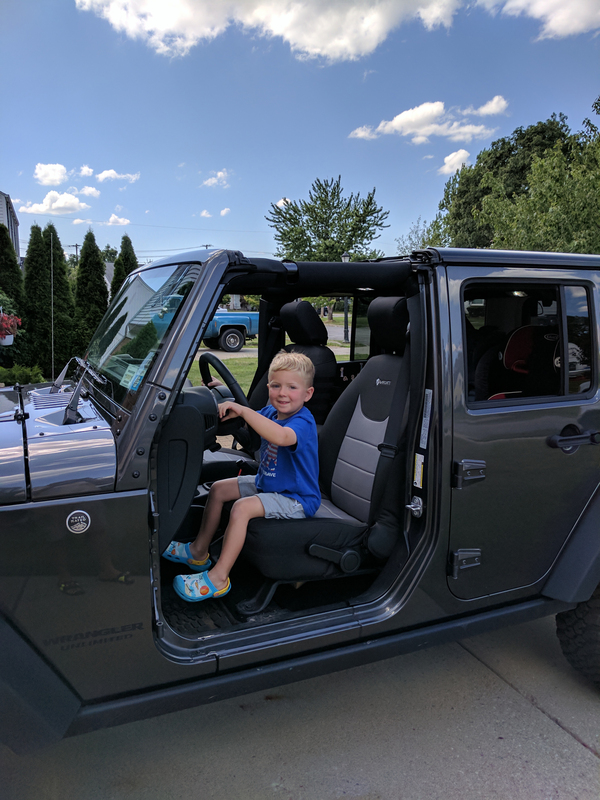 Late summer and early fall collide for most people right around September, and it also right about then where you finally decide to address that annoying clank in your Jeep. Luckily, Omix can take care of just about your every Jeep part or accessory need. Tiny hard parts for your engine or driveline, or new wheels, top, seats or windshield seals. They have you covered. And this month, three lucky winners will receive product credit towards that extensive Omix inventory. First place receives $2,000, second place $750, and third place $250. 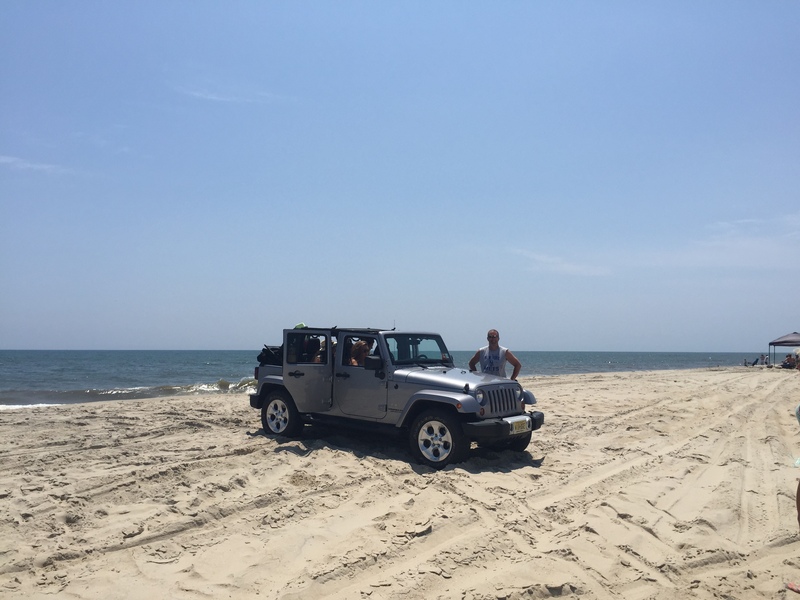 The end of summer is always re-evaluation time for those with Jeep vehicles. Especially the off-road crew who may not be happy with how their current suspension components performed. Rubicon Express can help. 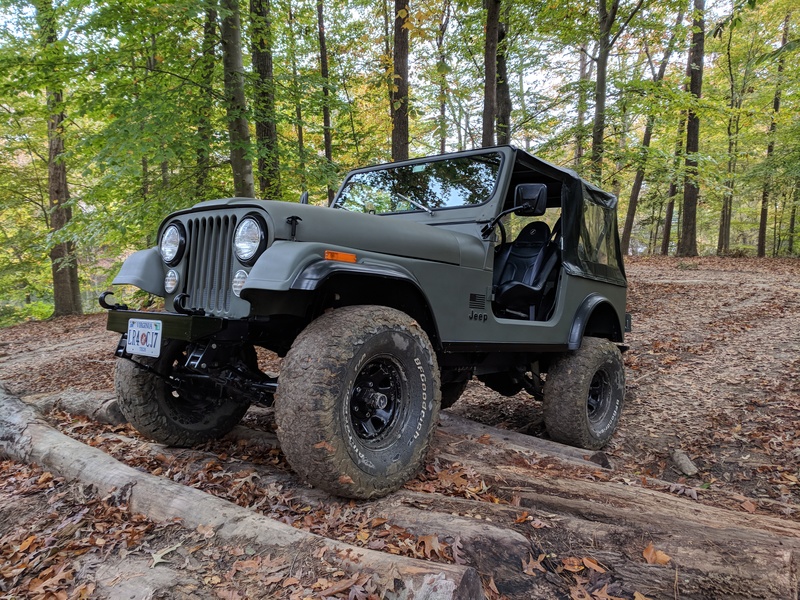 From shocks to sway bars; track bars to driveshafts - and all kinds of driveline and suspension products between - RE can reboot your Jeep adventurers with parts you can trust. This month, three lucky winners will receive product credit towards Rubicon Express products. First place receives $2,000, second place $750, and third place $250. If you think about it, summer is the perfect time to replace that ragged, old soft top. And when it comes to soft top replacements, no one does it better than Bestop. With factory-grade materials, scoop count zippers, and even non-zippered soft top solutions, Bestop has it all for your needs. Not just soft tops either. Bestop offers side step protection, seats, cargo accessories, mirrors, consoles, seat covers, and much more. This month, three lucky winners will receive product credit towards Bestop products. First place receives $2,000, second place $750, and third place $250. Summer nights in the garage. 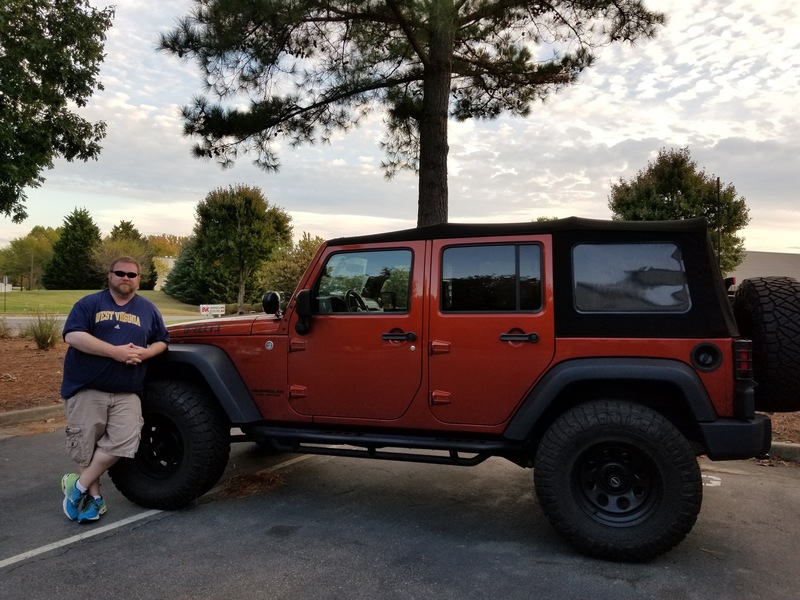 When you own a Jeep, and want to treat it right, or you are working on that next great Jeep project, then that is where you'll be more often than not. Projects require parts, right? So why not surround yourself with some of the best Jeep parts around from Omix-ADA. These guys have just about everything you need for whatever has to get done in the garage. Maybe tonight is some engine work, or hinge swaps. Perhaps this weekend will be an interior job, or axle effort. Regardless the project, count on Omix-ADA to supply the quality parts you require. Best of all, three lucky winners from our June sweepstakes will all receive credit towards these fantastic items from Omix-ADA. First place receives $2,000, second place $750, and third place $250. Sun's out, Jeep's out. Er, well, you get what we mean. May is the gateway into summer and for most Jeep owners, it is also a time to refresh their vehicles in order to show them off to the world. Things like new alloy or steel wheels. Or new all terrain or mud terrain rubber. Even suspension lifts or component parts to make that Jeep into the monster you always knew it could be. Our May contest sponsor Pro Comp offers all these great products, and more. Best of all, three lucky winners from our May sweepstakes will all receive credit towards these fantastic items from Pro Comp. First place receives $2,000, second place $750, and third place $250. 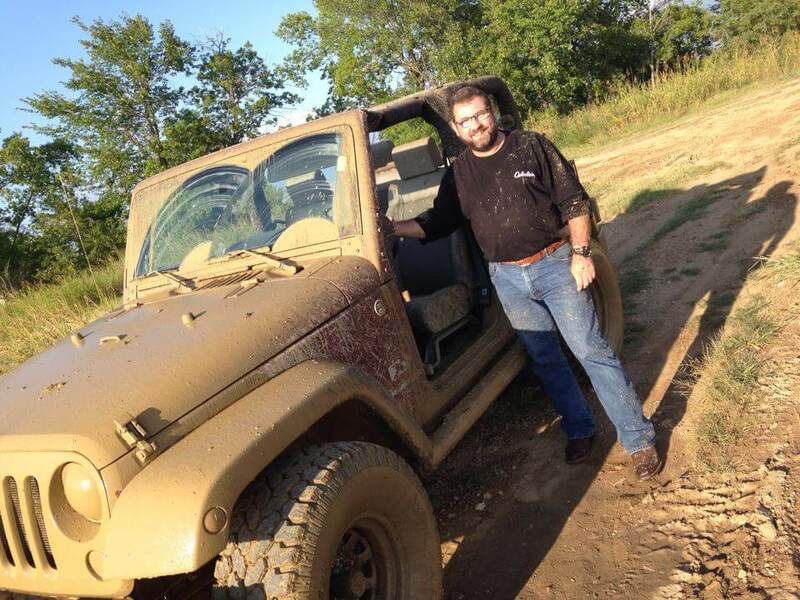 When you are looking for a new Jeep top, who do you look to first? Bestop, of course. But Bestop is much more than just tops. We're talking side steps, bumpers, tubular doors, summer soft accessories, cargo and storage solutions. Yeah, a ton of great stuff all designed to the highest quality possible - so that you feel confident you are putting functional and durable products on your Jeep. Three lucky winners from our April sweepstakes will all receive product credit towards these awesome accessories from Bestop. First place receives $2,000, second place $750, and third place $250. With the winter months fading from view and warmer times ahead, spring always seems like the new parts and accessories season. Thankfully, Omix-ADA knows what you mean. For over 25 years, the folks at Omix-ADA have brought you just about everything you need to keep your vehicle in the best shape possible. With an inventory spanning more than 20,000 products, you are sure to find what your need. Three lucky winners from our March sweepstakes will all receive product credit towards these awesome accessories from Omix-ADA. First place receives $2,000, second place $750, and third place $250. This winter season do a number on your Jeep? Well, you certainly are not alone. The cold weather can strike down even the best of soft tops, or affect hinges, doors, bumpers, seats, floor mats and a host of other accessory things. Even you guys out in the warmer regions may have items you want to replace as the spring and summer months approach. And Smittybilt is here for all your needs. With an inventory that touches just about every Jeep category, Smittybilt has been the brand customers trust for over 50 years to outfit their Jeeps with reliable, functional accessories. Three lucky winners from our February sweepstakes will all receive product credit towards these awesome accessories from Smittybilt. First place receives $2,000, second place $750, and third place $250. We all know how rough winter can be on soft tops. Or that, hunkered down by the fire, many of us dream of warm summer days with a bikini top or tubular doors. Well, Bestop knows too. And they make some of the best tops around, as well as all kinds of durable summer top accessories and plenty of other products like seats, bumpers, doors and storage units. Three lucky winners from our January sweepstakes will all receive product credit towards these awesome accessories from Bestop. First place receives $2,000, second place $750, and third place $250. December is a time of giving no matter what you are celebrating. And if your Jeep needs some fender flare work, then what better time than now to give that vehicle what it needs. Bushwacker makes top quality fender flare replacements for all kinds of Jeeps and in all kinds of styles. Flat, Cutout, Pocket - you name it. Plus, that larger coverage works well with those larger tires you just bought. But that's not all Bushwacker offers. 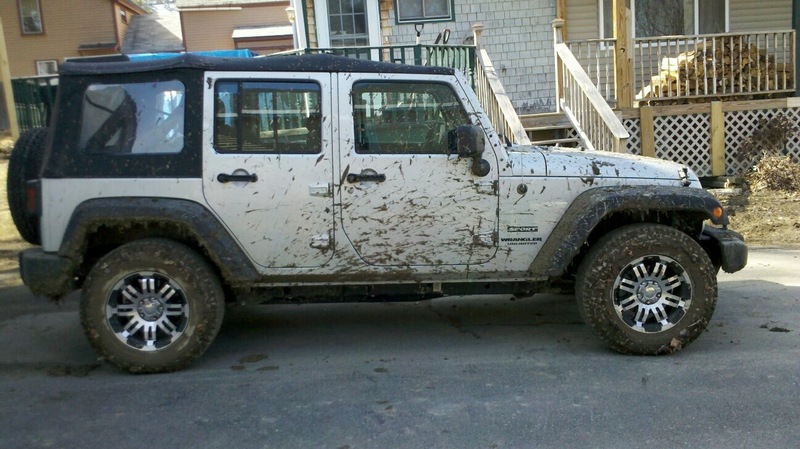 They also make protective Trail Armor, Rear Corners and stone guards to help keep your Jeep's body in working order. Three lucky winners from our December sweepstakes will all receive product credit towards these awesome accessories from Bushwacker. First place receives $2,000, second place $750, and third place $250. November means colder temperatures for many out there, and a time to give thanks. It is also a great month to take stock of your Jeep before winter really hits, and make sure you have just what you need to keep running as the days get shorter and shorter. Thankfully, with quality products from Omix-ADA, you can take care of just about everything you need - whether that means a touch up, afternoon in the garage, or a full-blown restoration project. Three lucky winners from our November sweepstakes will all receive product credit towards this vast inventory from Omix-ADA. First place receives $2,000, second place $750, and third place $250. What would October be without spiders? You know, with Halloween and all. Well, we asked the folks over at Poison Spyder if they wanted to step up and sponsor our October sweepstakes and they couldn't say yes fast enough. And the best part - nothing they sell is scary. Just high quality parts like bumpers, side bars, flares, differential covers, skid plates, and a ton of other Jeep products all designed to handle whatever the trail (or pavement) can throw at you. Three lucky winners will all receive product credit towards great Poison Spyder products. First place receives $2,000, second place $750, and third place $250. Congratulations to all three winners. Fall is a time for change. Those warm summer nights now have a bite to them and the trees are turning beautiful colors. Rugged Ridge knows change too. Change for your Jeep. Whether it is a new grille overlay, top, entry guards, seat covers, or a host of other interior and exterior accessories, Rugged Ridge has you covered for just about all your Jeep needs. That's why we partnered with them for our September Sweepstakes. Three lucky winners will all receive product credit towards great Rugged Ridge products. First place receives $2,000, second place $750, and third place $250. Congratulations to all three winners. How was your summer? 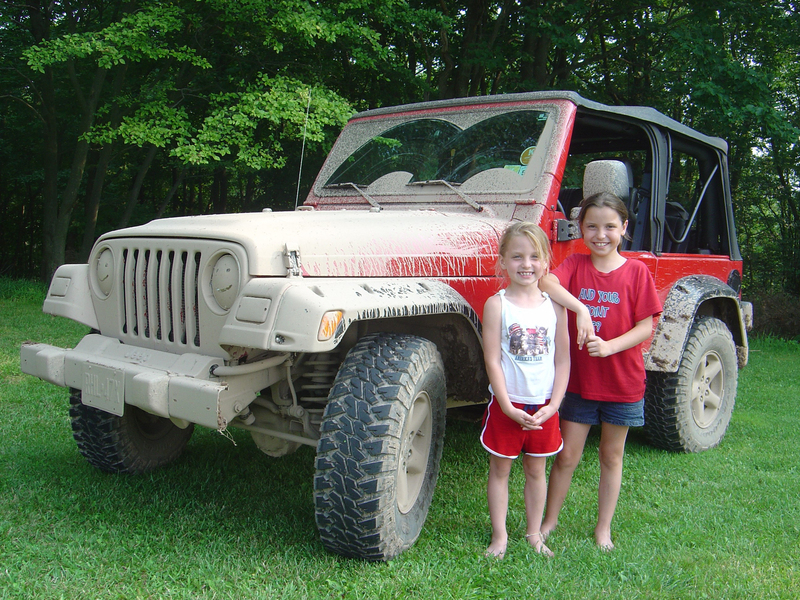 Did you get everything out of your Jeep that you wanted, or was the off-road and street riding a bit rough? Well, as summer transitions into fall, it may be a good time to take a look at that suspension system and replace with quality parts from Rubicon Express. 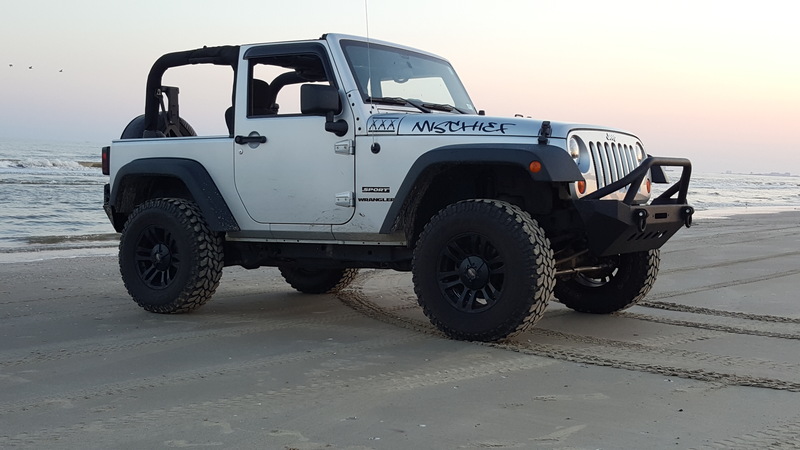 From replacement shocks to hard parts like control arms, track bars, springs and sway bars, Rubicon Express offers everything you need to give you a factory-fresh ride whether your vehicle is lifted, or you want a lift. That's why we partnered with them for our August Sweepstakes. Three lucky winners will all receive product credit towards these great products. First place receives $2,000, second place $750, and third place $250. Those long July summer days can certainly be filled with some great times - especially if you load the Jeep up and head out somewhere on a trip for a day, weekend, or how ever long you want. And while you are on those travels, if your exhaust sounds like it's going to prevent those fun times, then we know just the folks to help. Magnaflow. They offer Cat-back systems, replacement Catalytic converters as well as exhaust tips and pipes to make sure your summer trips aren't, well, exhausting. Three lucky winners this month will all receive product credit towards these great products. First place receives $2,000, second place $750, and third place $250. You pass 10 Jeep Wranglers or CJs on the road, and we're willing to bet at least eight of them will have something installed from June's Sweepstakes sponsor Omix-ADA. And the reason is simple. They are the world's largest independent Jeep parts manufacturer and make almost anything you'd ever want to put on your Jeep. Interior and exterior. Exhaust, lighting, soft accessories, replacement parts. You name it. Three lucky winners this month will all receive product credit towards this vast inventory. First place receives $2,000, second place $750, and third place $250. 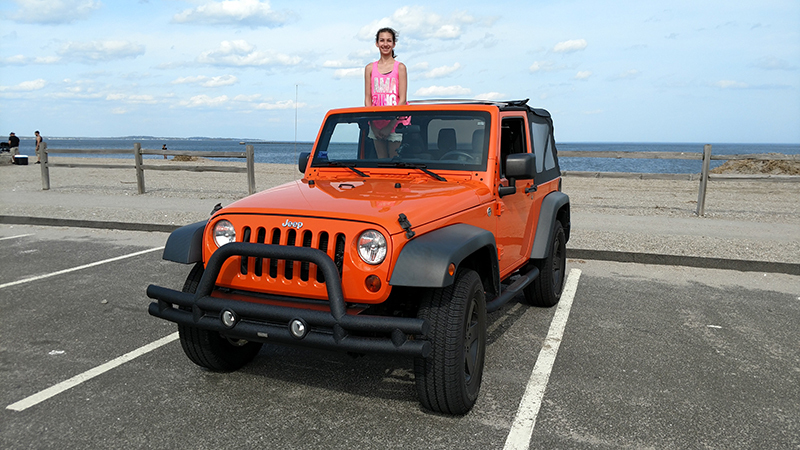 While May does have the shortest name for a month, it still offers plenty of warmer days to help get your Jeep into top shape for all your on and off road adventures. Which is why we asked Pro-Comp - an icon in the Jeep tires, wheels, suspension and lighting fields - to sponsor our May 2017 sweepstakes, where three winners received product credit towards great Pro Comp items. First place received $2,000, second place $750, and third place $250. Whether it is a new set of alloy or steel wheels like Series 31 or Soft 8, or all terrain and mud terrain tires, Pro Comp has the tools you need to keep you rolling along all season. Plus, their popular suspension upgrades have the strength and flexibility to take you wherever you need to go, while ultra-popular LED lighting upgrades will help you see easier on the way. Congratulations to Dallas J. from Gulf Shores, AL for winning this month's contest. April showers bring May flowers, right? Well, these showers also can mean wet Jeep floors and seats for those with older soft or hard tops. 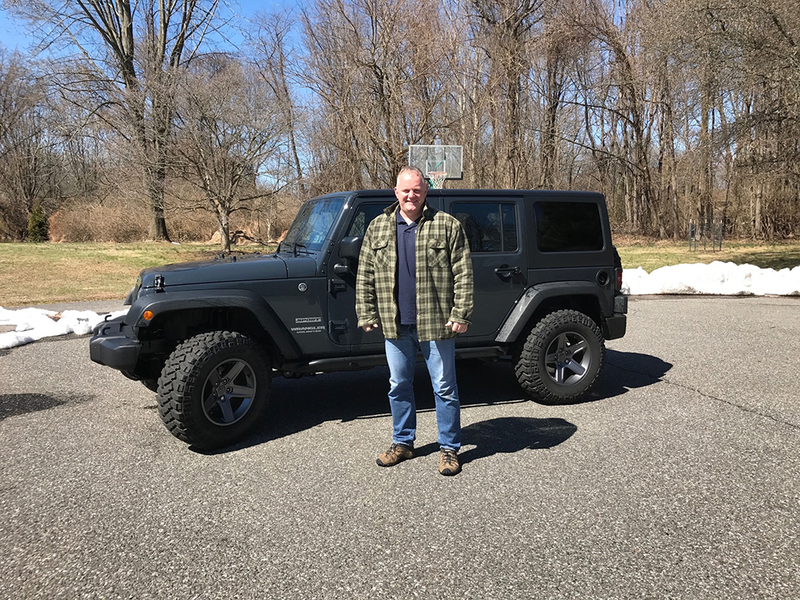 So we partnered with Bestop - a leader in the Jeep top industry - for the April 2017 sweepstakes, where three winners received product credit towards great Bestop items for their Jeep. First place received $2,000, second place $750, and third place $250. Whether it is a full top replacement like a Supertop or Trektop, or summer accessories like bikini, windjammer and tonneau duster covers - even things like interior storage products, armor and protection, and doors/door accessories - Bestop has the gear you need to take on whatever summer throws at you. Congratulations to Carmen B. from Fort Worth, TX for winning this month's contest. Rugged Ridge Spring Is In The Air Sweepstakes! For many of us, March means temperatures change for the better and we start thinking about all the Jeep projects we want to complete. 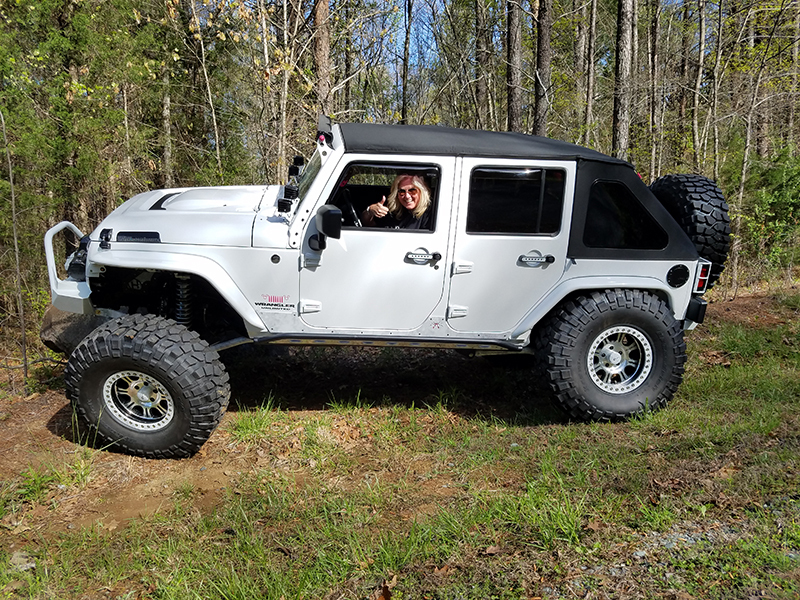 Whether its taking off that hardtop and installing a bikini top, adding auxiliary lighting, or even changing out interior items like seats or gauges, what better way to enjoy these Spring days than with all the different products Rugged Ridge offers. 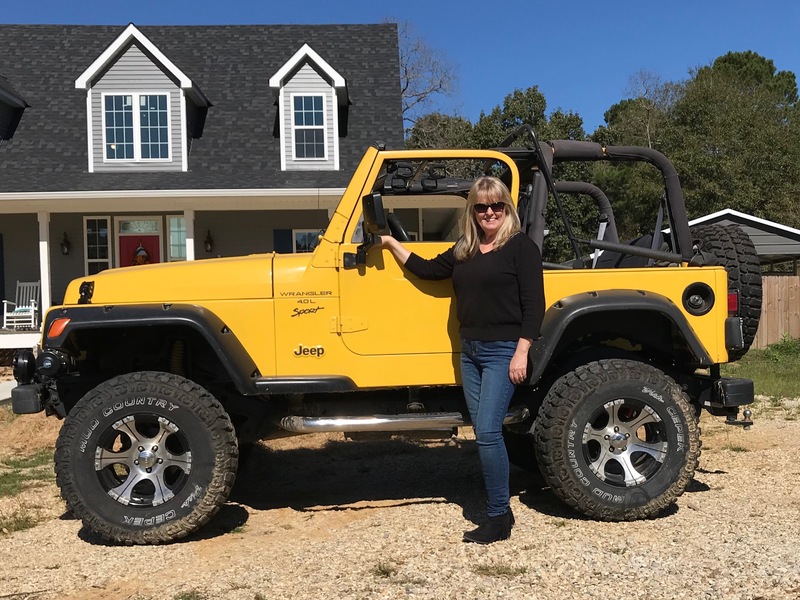 In fact that's why we teamed with Rugged Ridge for the March 'Spring Is In The Air Sweepstakes', where three winners received credit towards great Rugged Ridge products for their Jeeps. First place received $2,000, second place $750, and third place $250. Congratulations to Jim A. from Stratford, CT for winning this month's contest. Every season is a great time to modify your Jeep, but there is something about Spring that just screams 'let's make a change!'. Smittybilt understands that better than anyone, which is why we teamed up with them for a February Spring Into Spring Sweepstakes. Out of over 18,000 entries, we randomly picked three winners who each received credit towards Smittybilt products for their Jeep. First place received $2,000, second place $750, and third place $250. Congratulations to Christopher K. from West Chester, PA for winning this month's contest.